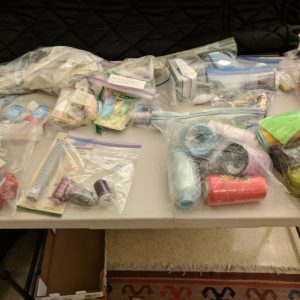 For the most part, we are unable to accept donations of fiber, yarn, fabric or equipment because we don’t have the people or facilities to handle, store and distribute things. We do hold a fund-raising auction in December of every even-numbered year. As we get close to that date (September of that year), we may be able to include something in the auction, as long as it’s fiber-related and in good condition. The next auction is December 2020. Note that donors must pick up anything that doesn’t sell. However, we are happy to accept fiber arts books throughout the year. Please contact our librarian if you would like to make a donation to the Guild library: librarian@potomacfiberartsguild.org. No magazines or digital media, please. 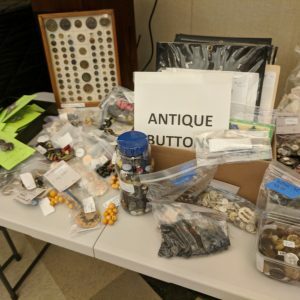 Sites where you can buy/sell/trade used looms, spinning wheels, skein winders and other weaving and hand spinning tools are listed on https://www.allfiberarts.com/2011/usedequipment.htm. The Fiber, Equipment, & Barter Page listed here has a listing of ads each month. 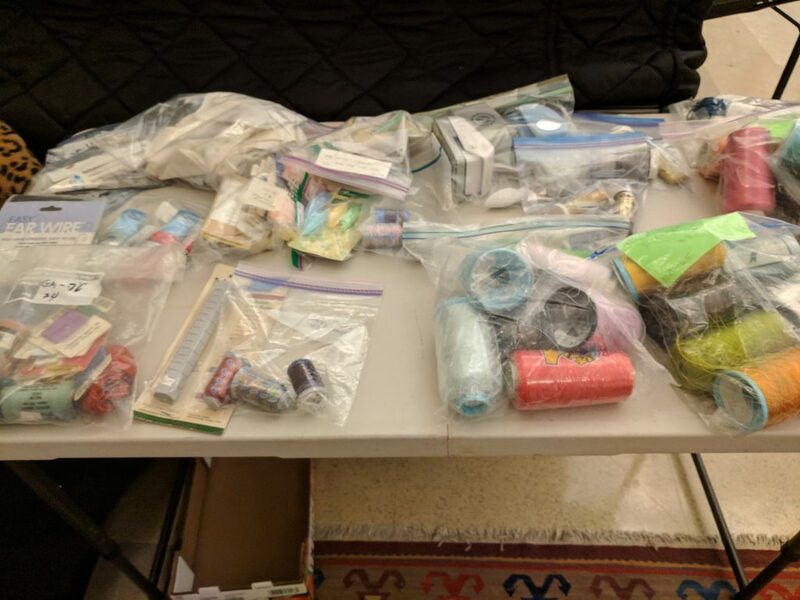 To sell locally through Craigslist, try the Arts and Crafts section: https://washingtondc.craigslist.org/doc/ (DC, VA and MD) or give things away on Craigslist’s free section. The thrift shop at Ft. Myer also takes arts and crafts supplies and sales benefit military families. For questions re: donations, call 703-527-0664. 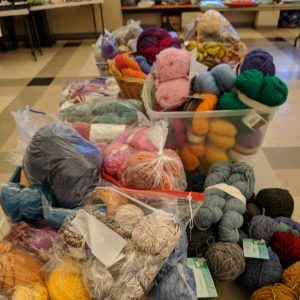 Several groups have recently requested donations of yarn and equipment on Ravelry https://www.ravelry.com/ These have no affiliation to our guild, but the information listed here may be useful. Calvary Women’s Services (http://www.calvaryservices.org) offers housing, health, employment and education programs that empower homeless women in Washington, DC to change their lives. Their programs carry out their mission to offer “a safe, caring place for tonight; support, hope and change for tomorrow.” Currently, they have a yarn works class hosted through their Educational Services known at Calvary as LEAP (Life Skills, Education and Arts Programming). This program empowers women with the basic education and skills they need to successfully move out of homelessness. 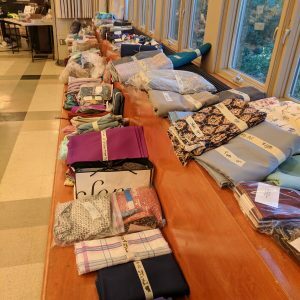 The Yarn Works group happens every Friday and allows women to set and accomplish goals while enjoying a wonderful hobby. They are in need of yarn–yarn of any color, texture or thickness! The group has become quite popular and the women are quickly moving through projects. Montgomery County’s RSVP Program (Retired and Senior Volunteer Program) has wonderfully talented seniors at various senior centers making knitted and crocheted items for those in need – newborns, children, area homeless and low-income seniors. But their production has come to a grinding halt because their yarn cupboard is bare. The groups have grown in size but yarn donations can’t keep up with their fast-flying fingers. They appreciate any donations of acrylic yarn, particularly baby yarn. If you know of any other organization that accepts fiber-related donations, feel free to email outreach@potomacfiberartsguild.org, and we can add them to this list.